Joanne M. Prince B.A., LL.B. LL.M (Criminal), is a Criminal Defence Lawyer in the Greater Toronto Area (G.T.A.) 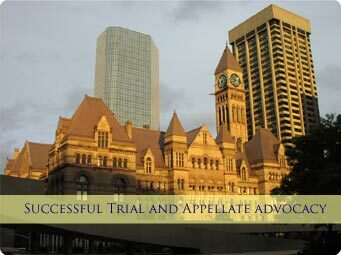 She has successfully defended clients in the Toronto, Halton, Peel, Simcoe, and Durham Regions. Ms. Prince is a member of the Ontario Criminal Lawyers Assocation (CLA), the Ontario Bar Association (OBA), the American National Criminal Defence Lawyers Assocation (NACDL) a member in good standing with the Law Society of Upper Cananda (LSUC), having been called to the Ontario Bar in February 1999. Ms Prince specializes in the following areas of offences: youth matters, violence (domestic assault, robberies, aggravated assault, sexual assault, weapons) drugs and impaired driving/over 80.